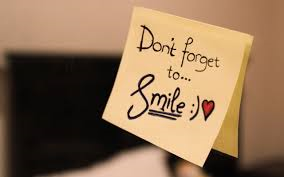 It was world smile day on 5th Oct 2012 so I thought I’d write a blog post about smiling and customer service. You might think that these two things come hand in hand but I’m always surprised when you are served by someone who clearly doesn’t want to be where they are and a smile is the last thing you get. I’m not going to talk about the first or last point as these are very dependent on the business you’re in and you will know this yourself. I’m more interested in talking about people. I believe that not everyone is good at being in a customer service role, from my experience as a manager looking after a front of house team in a busy London health club that some of the people I employed just didn’t cut it in this role. This is not because they aren’t friendly, nice people or not good in part of the role but their natural way of communicating wasn’t people focused and no amount of training was going to change this. We all communicate in different ways; some people are naturally gregarious and are able to put people at ease quickly while others are more direct in their approach which may not feel as friendly. If you are able to work out how the person in front you (the customer) likes to communicate you will find it easier to talk to them. If people warm to you in a customer service role you’ve won half the battle of making sure that person has the experience they expect. As the above quote says a smile is a good way to start (isn’t it obvious), no matter what people say but smiling is infectious and it’s FREE believe it or not. The number of times I’ve been in shops and restaurants and you smile at the person serving you and you just get a blank face back, it’s not nice is it? Has this happened to you? Not only do you have to get the right people in the right roles but you also have to make sure that these people want to be in that role and have a culture within your work place/business that is positive. The word positivity is regularly used in business but it’s a great word as with smiling I think positivity is infectious, how many times have you met someone who exudes positivity and you can feel yourself wanting the same as what they have?!? In my role now I work with businesses in both areas communication and positive workplace culture and the results I see are amazing. Small changes can make the world of difference to people. One of the ways I do this is offer my clients DiSC profiling, as a certified trainer I can help teams understand the best way for them to communicate internally but also externally with their customers. So when you are recruiting people for your customer service role, are they a natural communicator who could win over a customer?